Suitable for most cases on the market, this easy-to-install Lian Li EX-H22 SATA Hot Swap HDD Cage uses two 5.25" drive bays. 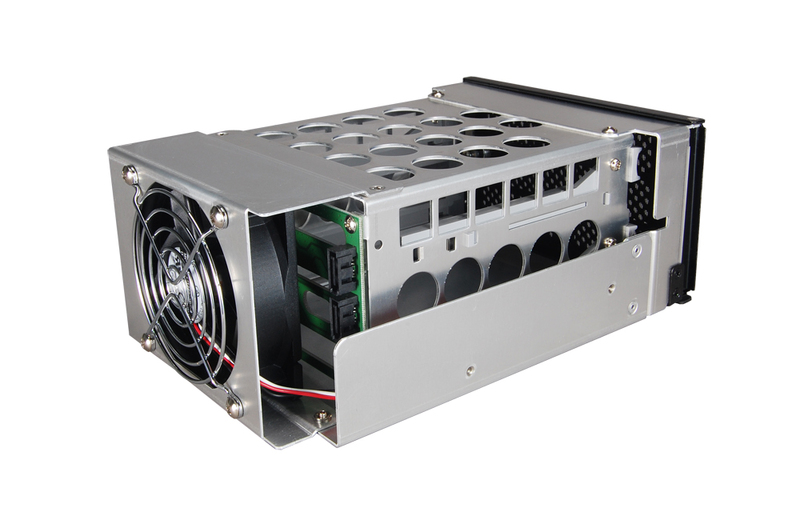 The HDD Cage support RAID functions 0 & 1, and includes an aluminum HDD rail handle. For added cooling, the Lian Li EX-H22 SATA Hot Swap HDD Cage comes with an 80mm fan (which can reach speeds up to 1500RPM) and a Washable Air Filter.